Having a home yoga practice is a wonderful way to deeper your own understanding of yoga, however it comes with its own set of challenges. Getting to the mat is often the hardest part about yoga and even more difficult is attempting the home practice. 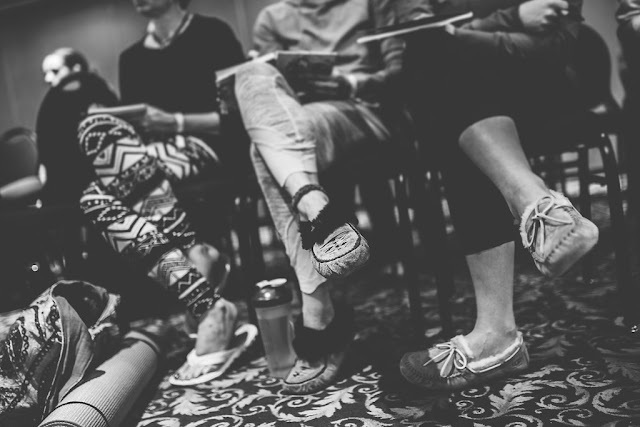 It is one sure way to learn what obstacles block you in your practice while learning to overcome them. Plus no one gets to see you in your manky sweats, unwashed hair, or drinking a coke, or fall out of a pose. My attempts at getting into handstand with a dog underfoot are laughable. Home is a perfect place to practice when leaving the house just isn’t an option. The key is to create structure around your home practice, much like the foundations of a house. We start with the basics and build from there. Eventually the cheerios from the kids or dust bunnies or laundry will become less intrusive to the mind as the practice and benefits increase. If you are using the kitchen like myself (only non-carpeted spot in the house) this requires sweeping otherwise the cheerios from breakfast stare at me relentlessly in down dog. Take five minutes before the practice to make it tidy and think how proud your Mother will be. If you don’t, those damn cheerios give a good stink eye, trust me I know. If it floats your boat, use aromatherapy. Light incense, whatever you need to set the mood for your practice. A few minutes of cleaning and setting the mood makes a world of difference. 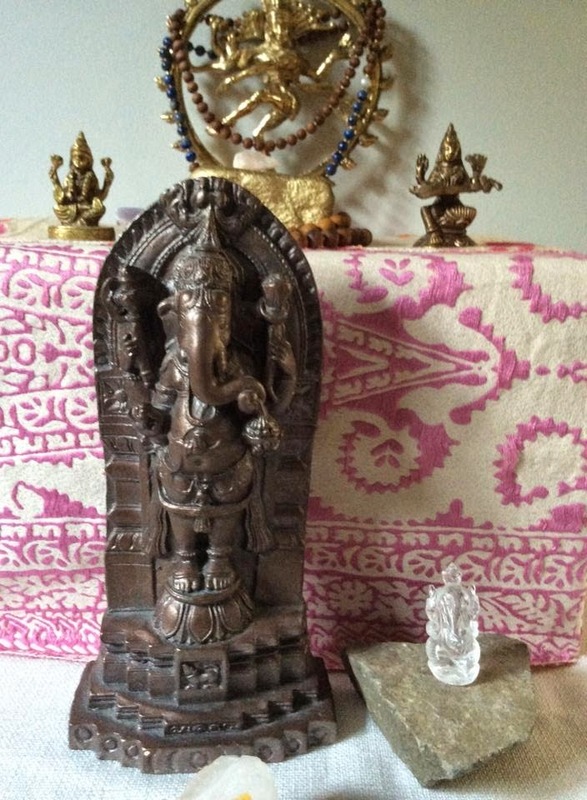 2 - Create a little alter (puja) where you can place meaningful objects on it. My alters align with the current season and always have a deity (God or Goddess) with qualities I want to work on within myself. Nataraja, the dancing Shiva and Lakshmi have two permanent positions while the rest of the Hindu pantheon such Ganesha, Kali, Hanuman and Saraswati and others are on rotation. Other Goddess such as Brigit and people like Mary Magdalene also make appearances. And of course, crystals. Who can resist? They sparkle, are pretty, and make me feel good. I’m found of black moonstone, clear quartz and amethyst. It’s another excuse to go shopping and see what crystal is calling your name. And they do, call your name. I dare you to walk into a crystal shop and walk out empty handed. It. Does. Not. Happen. Included on my alter is a plant to represent growth, a candle to represent light and pictures of loved ones. Whatever you love, get it on the alter and let it feed your yoga practice space. 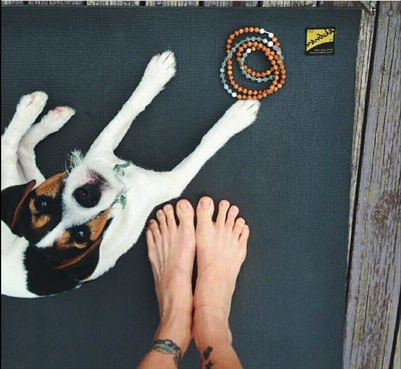 Whether it’s 5 mins or an hour, set your timer and get to that mat. Create the discipline in your body by doing it. Rome wasn’t built in a day and neither is your home practice. If you get to the mat 1x a week, that’s brilliant. Start there and build it up. Can only do 5 minutes? At least that’s something. We need to honour the small steps we make and 5mins of a home practice is better then zero minutes of a home practice. You aren’t any less spiritual because you want to rock out on that mat. I’m a big fan of Marques Wyatt from Deep-La and Tasha Blank from New York and Smalltown DJ’s from Calgary. All available on Soundcloud. When I’m not feeling inspired, I have a little movement dance party and before I know it, I’m yoga-ing my way through the practice. Make it real, make it honest. For example, this week it’s about the breath (when isn’t it?) Allowing the breath to guide my body while I navigate the warrior series including the dreaded virabhadrasana 3 (airplane pose), one of my least favourites. One I definitely prefer to practice at home when no one can see me swear under my breath (while breathing) as I shake like a sewing needle. 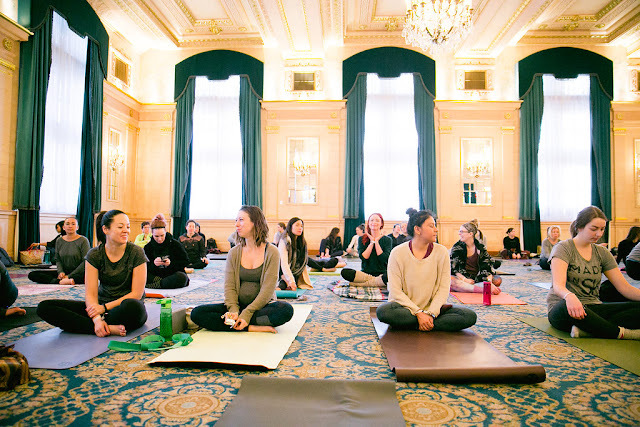 Keep the yoga simple and don’t overwhelm yourself. Remember this is about building a home practice up, not berating yourself for noting knowing how to get into Scorpion. If I can leave you with anything, it’s to make your home practice approachable and inviting, whatever it takes you to get to the mat. 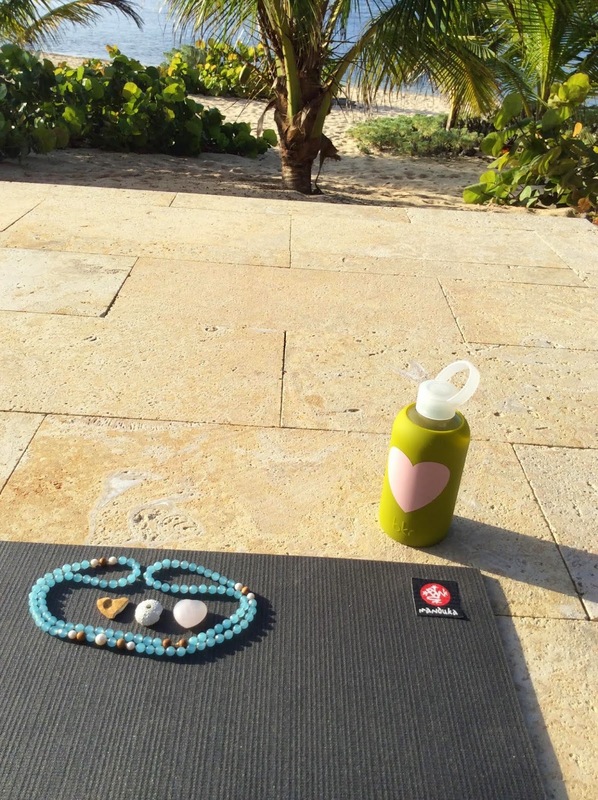 I love music, having a Lila Mala on the mat (for decoration) and a BKR bottle. I also reward myself with a delicious coffee after. We often quit before we have even started so I hope these five tips can inspire you to make some time for yourself, get to that mat! and keep you trucking along happily in life.